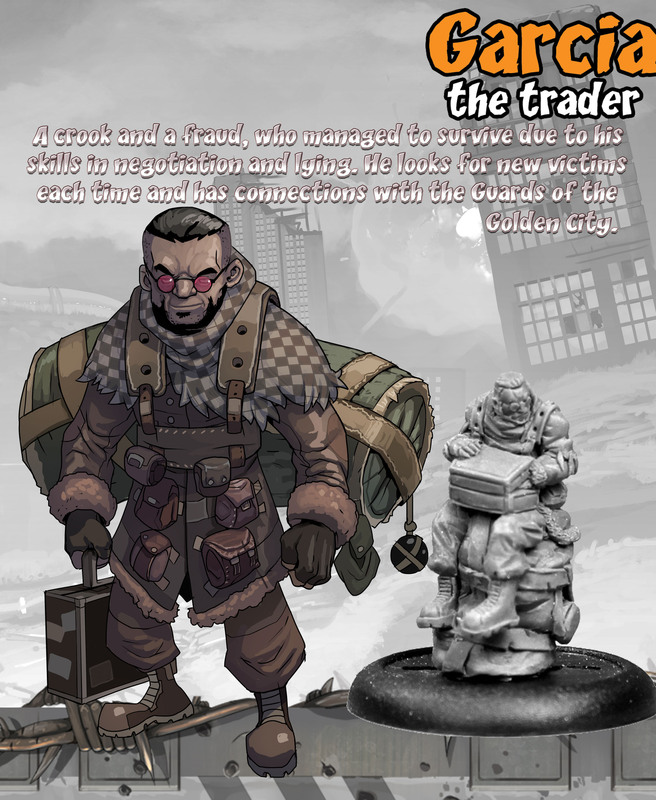 A couple weeks ago, we previewed Raid & Trade which is seeking funds on Kickstarter. The prototype I had wasn’t final, and the game has developed a lot since the stuff I played with. So, I sat down with Alexander Argyropoulous to talk about the game and convince you to become a backer! Tell us a little bit about the game, Raid & Trade. 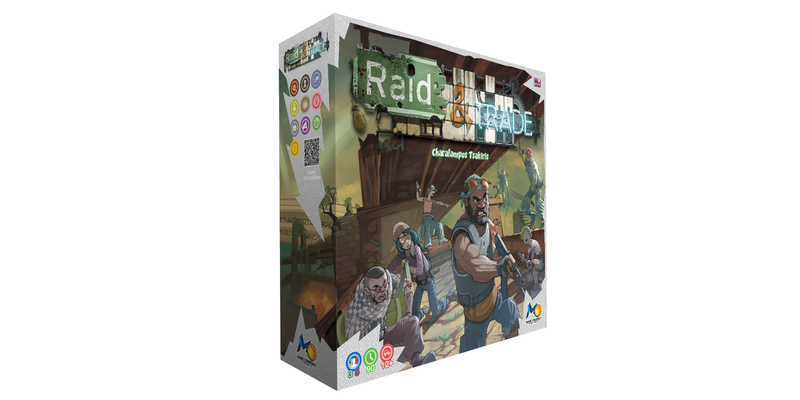 Raid and Trade is a post-apocalyptic board game. The main mechanics are Action Points and Negotiation. 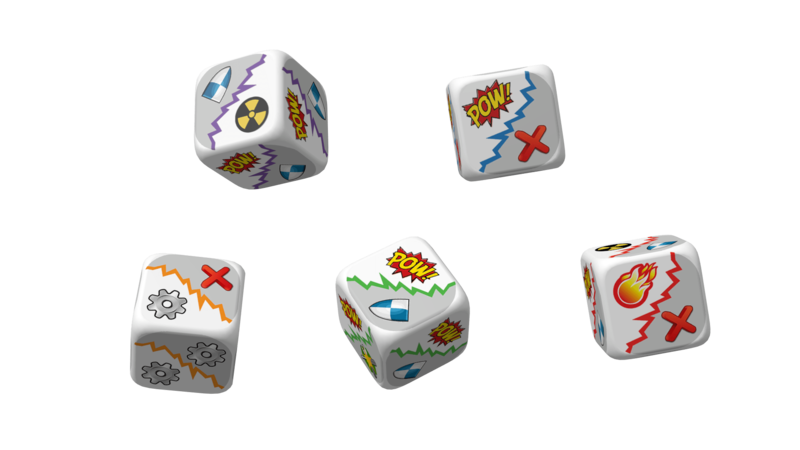 Players can choose between 5 different characters which each have unique items and combat skills. Turns are based on action points, so you can do different actions that cost different amounts of action points. You can move along the city, raid buildings to get resources, attack other players and much more. With the resources you can craft items to get different advantages during the game. Also, crafting items gives you skill points. To get 20 skill points is one of the 3 ways to win. You can also win by getting a good character or by fulfilling quests which require resources and others. A mock-up of the final, post-apocalyptic board of doom! Did you have any goals in mind with the design of this game? Do you feel like you accomplished those goals? Downtime is very low because you always only do 1 action at a time. 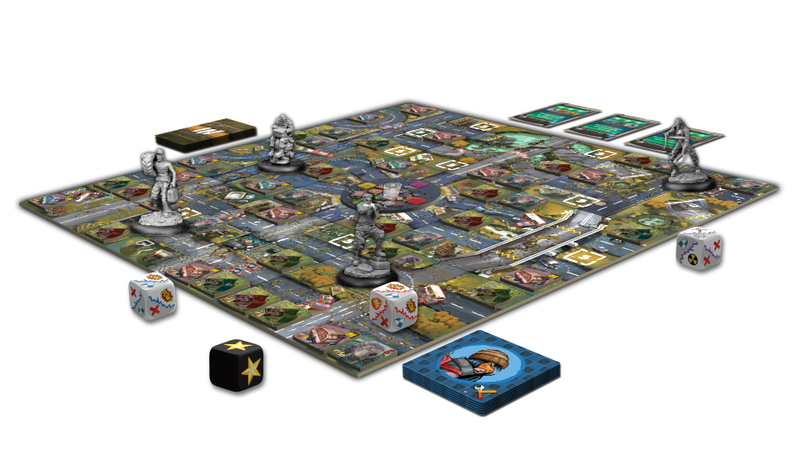 Replayability is very high: You have a modular board, different characters, randomly placed houses and many different cards. The theme is strong and perfectly supported by the awesome graphics, where Anthony did a great job! Where did the idea for the theme of the game come in? I got the idea from Charalampos who designed the first prototypes of the game! He likes a lost post-apocalyptic movies like Resident Evil or something like Mad Max and he thought to make such a game. What is your favorite element of Raid and Trade? I think is not something specific or maybe yes. I like the continuing pressure the game creates through its mechanics and the interaction between the players. Did anything suprisingly (cool or terrible) come up during the design of the game? What kind of people will enjoy Raid and Trade? That’s a tough questions. I think casual gamers, parent geeks, people who like interaction or post apocalyptic themed games, people who like to do many actions in the game or who like racing games against other players. What sets Raid and Trade apart from other games? I think the artwork cause is not heavy but not light too, we made it this way so everyone can enjoy it. The other things I really really love is that in this game you use ALL the components, all the effects, all the cards, the entire game is 100% active and challenges you all the time. Any final thoughts you’d like to leave with our readers? Perhaps, one last pitch on why they should back Raid & Trade on Kickstarter? a) we have created some exclusive items on kickstarter. i know people had some issues on KS with other campaigns from other companies but I know what MAGE does and we do not make very often exclusive items. Hopefully that gives you a little more insight into the game. It certainly looks like an action-packed game, so go check out the kickstarter page and consider becoming a backer!